At Express Self Storage, we’ve partnered with U-Haul to bring you moving truck rentals in the Pasco and Tri-Cities area. Whether moving into or out of your storage unit, across town, or across the country, you’ll find the perfect sized moving truck for your needs. U-Haul provides renters with the most reliable trucks in the industry, which is why we’re proud to offer them at our Pasco self storage facility. The staff at Express Self Storage is pleased to help you choose the right sized moving truck rental for your specific needs. We’ll help guide you through the process by comparing truck sizes based on how much you have to move. We’re self storage and moving experts. Trust Express Self Storage for your U-Haul truck rental needs in the Pasco and Tri-Cities area. Express Self Storage is your all-inclusive self storage facility. With wide driveways, we can easily accommodate large U-Haul trucks. In addition to a great self storage experience, you can rent U-Haul trucks to be used within our community and across the country. Rent from Express Self Storage and take advantage of our wealth of moving and self storage knowledge. Moving day brings enough to worry about. Don’t stress about how you’re going to pack the moving truck. 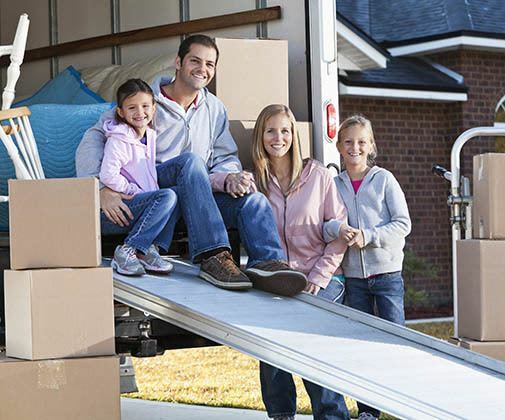 Follow these convenient tips from Express Self Storage for packing a moving truck and start your move with your best foot forward. Stack Similar Sized Boxes - If you can, try to only use two sizes of boxes. This makes stacking boxes in the moving truck easier. Breakables - Mirrors, picture frames, artwork, and other breakables should be stashes between mattresses, wrapped in bubble wrap, and protected to avoid breaks. Keep your most valuable items in the cab with you to ensure their safety. Take Care of Yourself - Avoid aches and pains by using smart lifting techniques. While it may be tempting to work yourself too hard, your body will thank you when you lift with your knees, team-lift heavy items, and use carts and dollies when they are available.